Misaki's trump card is a tie to sweet memories from her past. 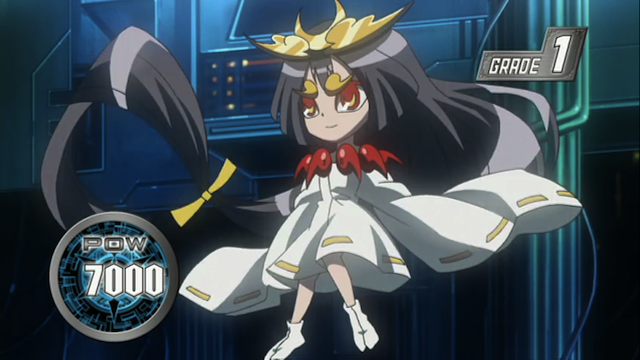 Episode 29 provided a rare Cardfight! Vanguard treat. This time we got a real match with Misaki fighting all out, and the stakes were pretty high, as Team Q4 have yet to qualify for the Second day of the national championship tournament. Kai lays the smack down. As it turns out the player who got cheated out of having their game shown was Kai. Well that’s fine by me, as the outcome really wasn’t in question. Kai’s featured fight should come during the next round, against the Foo Fighters. 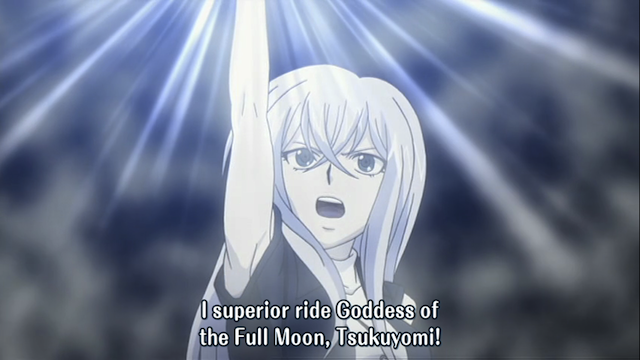 Misaki eye-catch: Crescent Moon Goddess. I really liked the structure of this fight. 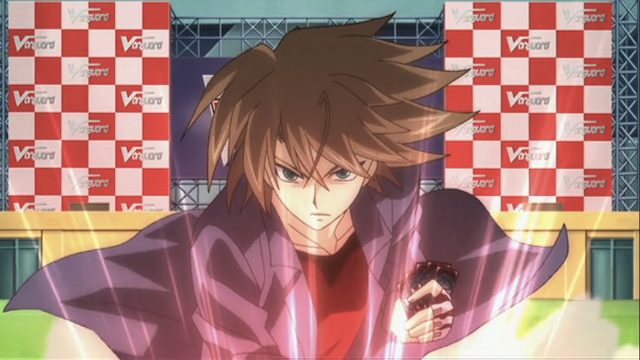 Misaki’s opponent (Punch) styles himself a fist fighter, and uses an unusual mixed deck. In addition Misaki is having some difficulty drawing a level 3 card. 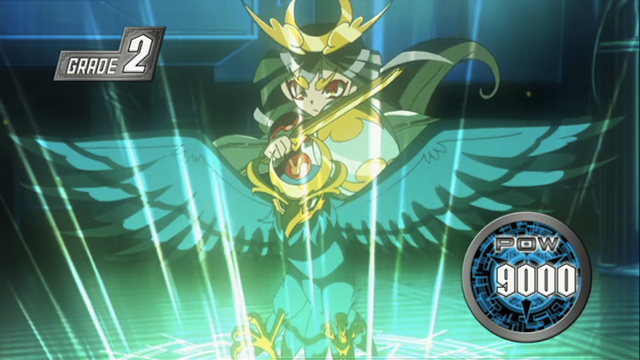 Misaki uses a special ability to search 5 cards at a time for the necessary card (similar, but different from an ability she sometimes uses to look at the top cards). 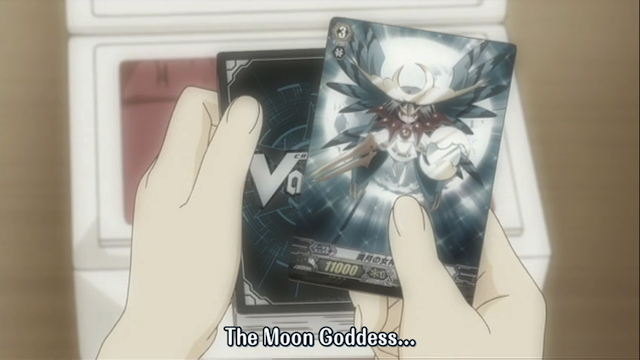 In addition the vanguard cards she played (“rode”) were all thematically linked as moon goddesses. Grade 1: Goddess of the Crescent Moon. Grade 2: Goddess of the Half Moon. 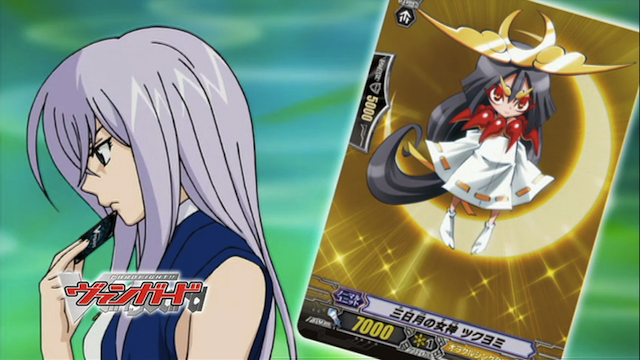 As I said, Misaki uses an ability, called a “superior ride”, that allows her to summon a vanguard if she finds it in the first 5 cards on the deck. "Gentle light that illuminates the darkness, your smile will envelope the world". Grade 3: Goddess of the Full Moon. 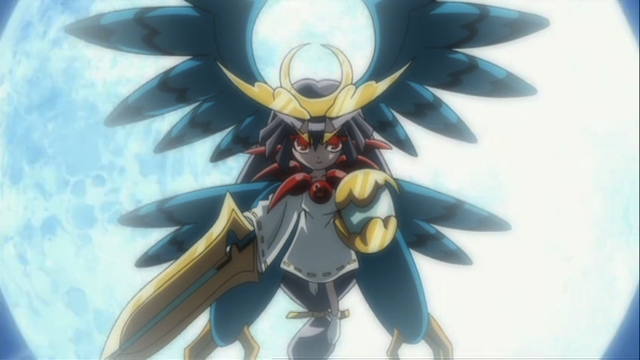 I’m really glad that Misaki had a chance to engage in a real battle. It was an interesting fight, and she deserved a solid win, because they have hinted that she is a good player often, without really giving her an opportunity to fight solid opponents. Well, this week clears the way for the all-important battle against the Foo Fighters, last year’s national champs. As I mentioned last time, even if Team Q4 manages to win this round, they will end up tied with three teams, thus this is going to a decision victory.